In a recent article in The Huffington Post Small Business Section by Lena L West: “Get Ready for the Big Leagues: Three Hot User Friendly Tech Tools That Will Elevate Your Business From Semi-Pro to Pro,” she mentions 5 different apps that can jump start your business in marketing, accounting, and Customer Relationship Management (CRM). LeadPages is a tool to create landing pages, sales pages, and much more – all optimized for mobile devices! OptimizePress and LeadPages: Both of these tools allow you to create landing pages, capture pages, sales pages, mobile pages, etc. all without needing to know any coding! OptimizePress is coming out with a new version (2.0) that should be launching later on this month. You can currently fill out your name and email address so they will send you an update when the new version is available. LeadPages is up and running and is $37/month or $197/year. 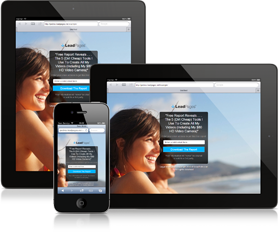 Both software are fully integrated with WordPress and automatically work with mobile devices. LeadPages is integrated with most email marketing providers as well. Get ready to revolutionize your small business accounting. With Freshbooks cloud-based system, manage your business from anywhere. Freshbooks and Outright: Two applications that make accounting a snap and are both cloud based! Both apps give you a snap shot of your P&L (Profit and Loss), accounting reports that are easy to read and understand, and make tax time so much simpler! You can sign up for Outright for free or upgrade to an Outright Plus account for $9.95/month which gives you more features. 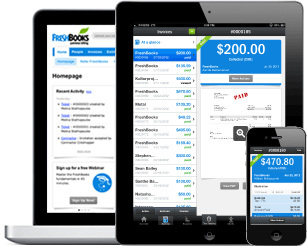 Freshbooks is also free and paid accounts start at just $19.95/month depending on what your needs are. Insightly: a cloud-based CRM software that allows you to store, track, and manage your business. Insightly: Once you start getting more leads generated from OptimizePress or LeadPages, you will want to start tracking them with the leading online Customer Relationship Management (CRM) software. Insightly not only allows you to store and keep track of all of your contacts, but you can also use it for project management, integrate your email (Gmail, Office 365 and Outlook 2013), Google Apps and Google Drive, and track your business. You can start for free for up to 2,500 contacts, 200 MB of storage and 3 users and then plans start at $29/month for even more users, storage, and contacts. Technology has made it possible for us to promote our small businesses more readily; however, it’s not always easy to do with all the added noise on the internet. Hopefully these inexpensive, user-friendly applications will help grow your small business today!